Rail Canterbury are pleased to be able to offer InterRail passes which give great value for unlimited periods across all European rail networks. Advice, reservations and itineraries are just a few of the ways we can help arrange your European adventure. InterRail is a European Rail Pass for all ages. With it you can discover 30 countries by rail with the classic Global Pass or, if you don’t want to travel that extensively, choose one of the 27 One Country Passes. It is available to residents of any of the participating countries. InterRail also entitles you to extra benefits like cheap ferries, discounts on other private railway companies and museums etc. Austria, Belgium, Bosnia-Herzegovina, Bulgaria, Croatia, the Czech Republic, Denmark, Finland, France, Germany, Great Britain, Greece, Hungary, Ireland, Italy, Luxembourg, Macedonia, Montenegro, the Netherlands, Norway, Poland, Portugal, Romania, Serbia, Slovakia, Slovenia, Spain, Sweden, Switzerland and Turkey. You can choose from either Flexi or Continuous passes. Continuous passes are valid for travel on any day in a 15 day, 22 day or 1 month period. Flexi passes enable you to travel on either 5 days of your choice within a period of 15 days, 7 days within a period of one calendar month, 10 days within a period of one month or 15 days within a period of one month. Austria, Benelux (Belgium, Holland and Luxembourg in one pass), Bulgaria, Croatia, Czech Republic, Denmark, Finland, France, Germany, Great Britain, Greece, Greece Plus (includes ferries from Italy to Greece), Hungary, Ireland, Italy, Macedonia, Norway, Poland, Portugal, Romania, Serbia, Slovakia, Slovenia, Spain, Sweden, Switzerland and Turkey. 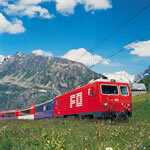 Some European rail services do need to be reserved and we can advise on this. The reservation costs are additional to the pass prices and we can make these reservations for you where required. Examples of trains needing reservations are French TGVs, Spanish AVEs or overnight trains where sleeping accommodation is required. Eurostar train services are not covered by InterRail passes.